We are pleased to present an innovative series of workshops on current research topics in robotics. The following describes these workshops in detail. Motivation: Planning and control of single and multi-agent robotic systems is a very challenging problem that received a lot of attention in recent years. The goal is to be able to specify a task in a high level language and have the robot(s) automatically convert this specification into a set of low level primitives (such as feedback controllers) to accomplish the task. The challenge in this area is the development of a computationally efficient framework accommodating both the complexity of the environment and the robot control and communication constraints, while allowing for a 'rich' specification language. With few exceptions, most of the works in this area focus on either the complexity of the environment (and assume that the robots have trivial dynamics or kinematics) or on the detailed robot dynamics (while assuming trivial environments). The works studying communication architectures in multi-robot systems are focused on proving that certain local interactions can give rise to interesting global behaviors. However, the inverse problem of generating local rules from non-trivial high level specifications of the group is still not understood. Finally, in most of the existing works, the motion planning problem is simply specified as ``go from A to B". This is either too explicit, or simply does not capture the nature of the task, which might require logical (e.g., ``visit either A or B") and/or temporal operators ("reach A and then B infinitely often"). Covered topics: In the first part of the workshop, we will discuss recent results advocating the use of temporal logics as high level specification languages for robotic systems. Specifically, we will first consider the problem of automatic planning and provably correct control of one robot from temporal logic formulas in predicates over environmental coordinates (Pappas) and the problem of executing such a specification by a small group of robots or by an arbitrarily large robotic swarm (Belta). We will then study the problem of defining local interaction rules so that the dynamics of a network modeling robot self assembly obey a performance specification given in terms of the probability of satisfaction of a temporal property (Klavins). In the above, the motion plan is obtained through model checking, and results in the form of a string (word) over input (control) modes. In the second part of the workshop, we will focus on the explicit design of such a string. We will first discuss this approach from the point of view of computational complexity and closeness to desired specifications given in continuous space (Bicchi). We will then present a divide-and-conquer approach for the identification of control modes and their combination into strings, with emphasis on reusability, expressiveness, and correctness (Egerstedt). Finally, we will focus on a method of designing and combining motion primitives into strings, which exploits the symmetries inherent in robotic systems (Frazzoli). While geared towards slightly different aspects of the robot planning and control problem, all the above approaches are based on the idea that complexity in robotic systems can be dealt with by (formally) abstracting continuous information into (discrete) finite symbolic descriptions, which are amenable for expressive specification languages and powerful analysis algorithms. Bill Townsend, Barrett Technology, Inc.
Abstract: Due to advances in modern medicine, the elderly population is growing worldwide. Along with this growth, there is a growing need for physical rehabilitation and assistance. Given the magnitude of this problem and its societal ramifications, the time is ripe to explore the extent to which robotic devices can be used as a means of rehabilitation and assistance to improve the quality of life for the physically disabled. In the last decade, robotic systems for rehabilitation, exoskeleton, and prosthetics have made significant advances. However, challenges lie ahead in their safety, size/weight, ease of use/don/control, and conformation to the societal norm. In this discussion-oriented workshop, we invite leaders in this field to debate the great challenges of physical human-robot interactions for rehabilitation and assistance. Specifically, we will discuss the advantages/disadvantages of the currently available systems, safety mechanisms required for physical human-robot interaction, what must be developed/discovered in academia in the next 10 and 30 years, and what features are crucial for improving the quality of life for the physically disabled. Abstract: Over the last couple of years, robots have been deployed well beyond the production line. The UN World Reports on robotics show marked increases in the number of household service robots, and we see practical uses of robots in e.g. search & rescue missions, and maintenance in underwater or planetary operations. An important consequence of this wider deployment is that robots are now more likely to interact with non-export users. This raises serious issues for human-robot interaction. How can we make interfaces that make it possible for a human to interact with one or more robots, so that the human can maximize exploitation of the robots' abilities? How can we make sure that these interfaces are easy to use, and make it possible for the human "to get the job done" rather than to wrestle the interface? Ultimately, the usefulness of a robot will depend on how easy it is to deal with it, to interact with it. Intuitive modes of interaction are thus likely to be a determining fact or in how well robots can be integrated into our working environments and social lives. What could be methodologies for designing modular systems for human-robot interaction, to enable portability and reuse across robot platforms and mission domains? How could such design methodologies provide flexible means for adapting to different levels of user expertise, and to different interaction modalities? What could be methodologies for evaluating whether implemented forms of human-robot interaction are useful in a particular scenario? Again, what shape could such experiments take, what evaluation metrics are available? Goal: The workshop will bring together leaders in academia, government and industry to identify and articulate key scientific and technological achievements in robotics, the main challenges confronting the community, and the key milestones for the next decade. Background: Over 4 decades have passed since the installation of the first industrial robot, and the first robotics research conference was held over 2 decades ago. A recent study at www.wtec.org/robotics provides a good summary of the the state-of-the-art in robotics research and development. While the industry surrounding industrial and service robotics is only $10B world wide, the impact of robotics science and technology the goes well beyond this industry. Contributions of the robotics community ranging from algorithms for dynamic simulation and motion planning to designs for vehicles and robot platforms have had a significant influence on industries that are not identified with robotics. Students trained in robotics are attractive to both civilian and defense industry. Most universities, colleges and even schools have made or are making significant investments in robotics because of the intellectual foundations of the field. And yet funding for basic research in this field is low. The workshop will engage members of the community to identify and articulate key scientific and technological achievements and milestones for the future. Possible outcomes of the workshop include the establishment of a world-wide network in robotics, a decadal survey of robotics research, and a roadmap for investment in robotics. Format: The workshop will consist of several talks by representatives from academic institutions, government agencies and industry, followed by discussions. Abstract: Research into Human-Robot Interaction (HRI) for socially assistive applications is still in its infancy. Various systems have been built for different user groups. For example, for the elderly, robot-pet companions aiming to reduce stress and depression have been developed, for people with physical impairments, assistive devices such as wheelchairs and robot manipulators have been designed, for people in rehabilitation therapy, therapist robots that assist, encourage and socially interact with patients have been tested, for people with cognitive disorders, many applications focused on robots that can therapeutically interact with children with autism have been done, and for students, tutoring applications have been implemented. An ideal assistive robot should feature sufficiently complex cognitive and social skills permitting it to understand and interact with its environment, to exhibit social behaviors, and to focus its attention and communicate with people toward helping them achieve their goals. The objectives of this workshop are to present the grand challenge of socially assistive robotics, the current state-of-the-art, and recent progress on key problems. Speakers at the workshop will address a variety of multidisciplinary topics, including social behavior and interaction, human-robot communication, task learning, psychological implications, and others. The workshop will also cover a variety of assistive applications, based on hands-off and hands-on therapies for helping people in need of assistance as part of convalescence, rehabilitation, education, training, and ageing. 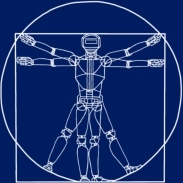 The proposed workshop is aimed at providing a general overview of the critical issues and key points in building effective, acceptable and reliable human-robot interaction systems for socially assistive applications and providing indications for further directions and developments in the field, based on the diverse expertise of the participants. Abstract: Self-reconfigurable modular robots are metamorphic systems that can autonomously change their logical or physical configurations (such as shapes, sizes, or formations), as well as their locomotion and manipulation capabilities based on the mission and the environment at hand. Because of their modularity, versatility, self-healing ability and low cost reproducibility, such robots provide a flexible approach for achieving complex tasks in unstructured and dynamic environments. They are well suited for applications such as search and rescue, reconnaissance, self-assembly, inspections in hazardous environments, and exploration in space and oceans. They also pose fundamental research challenges for robotics and other major branches of computer science, mechatronics and control theory. Self-repair and self-replication: modular robots have the unique capability to recover from damage and replicate structures. One of the biggest challenges is to create practical algorithms that take advantage of this capability. Limited resources: modular robots are limited by power, size, torque and other resources. One of the main challenges here is to improve battery density and fuel storage for modules. Hardware: the planning and control side of self-reconfigurable modular robots are far ahead of the hardware side, despite many brilliant and novel ideas. We will address the general hardware issues (including power, connectors, structural strength) that will lead to real and compelling applications. Abstract: The aim of this workshop is to explore modern approaches to robot manipulation in human environments. There is a resurgence of interest in robot manipulation as researchers seek to push robot manipulation out of controlled factory settings and into the dynamic and unstructured world we inhabit. Robots that successfully manipulate the spaces we inhabit will require new mechanisms and methods for perception and control. This workshop will investigate promising approaches that address the challenges of general manipulation within these domains. Key issues which must be addressed include: safety, human-robot interaction, robustness to uncertainty, and generalization over tasks. This workshop will serve as a successor to the Workshop on Humanoid Manipulation from RSS 2005. Although humanoids are well-matched to human environments, other form-factors may be advantageous. The unifying theme of this year's workshop will be robust operation within human environments. Abstract: The 2005 DARPA Grand Challenge proved a compelling demonstration of the state-of-the art in high-speed autonomous navigation. The goal of this workshop is to present the key ideas and innovations that made the 2005 Grand Challenge a success and to also highlight research relevant to the 2007 Grand Challenge which may emphasize driving in traffic. Abstract: For the miniaturization of devices and machines down to nanometer sizes, micro/nanorobotic approach enabling manipulation, locomotion, and interaction at the micro and nanoscales is indispensable. Micro/Nanorobotics as an emerging robotics field is based on the micro/nanoscale physics, fabrication, sensing, actuation, system integration, and control taking the scaling effects and nanoscale physics and chemistry into consideration. Micro/Nanorobotics encompasses: (i) programmable assembly of micro/nanoscale components; (ii) design and fabrication of miniature robots with overall dimensions down to sub-millimeter ranges and made of micro/nanoscopic components; and (iii) programming and coordination of large numbers of micro/nanorobots. This full-day workshop would address the grand challenges of this newly emerging micro/nanorobotics area. We plan to allocate a large portion of the workshop for discussions of current challenges, potential solutions, and future directions of micro/nanorobotics. Leading researchers from USA and Europe would give 30 minute talks (including 10 minute discussions) and many open discussion sessions would be held for an interactive and productive workshop.